There have been gardens on this site since 1622, when the original manor house was built by James Lewkenor. In 1804, when the current house was built, the gardens were enlarged and park was laid out, and the kitchen garden was moved to its present position and enclosed by walls. Many of the existing mature beeches, limes, horse chestnuts, planes and cedars date from this period and the present layout owes much to their planting. In 1818, the garden was extended to the west and flint walls were added. Frederick Bower, who acquired the Estate in 1871, continued to develop the gardens and opened them annually to the public. Twenty years later William James purchased the Estate and made many improvements to the garden, including rebuilding and extending the range of glasshouses in the walled kitchen garden, the construction of the magnificent pergola in the North Lawn, plus a considerable amount of planting and refurbishment, both in the grounds and the arboretum. On his father's death in 1912, Edward James inherited the estate. Best known for his patronage of artists including Dalí, Magritte, Tchelitchew, Fini and Carrington, in 1964 he established the Edward James Foundation, a charitable educational trust. Edward died in 1984 and is buried in St. Roche's Arboretum. The transformation of the gardens began after the storm of 1987. 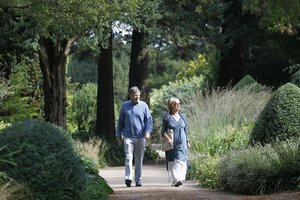 Since then, Gardens Manager Jim Buckland and Gardens Supervisor Sarah Wain have carried out a bold re-development programme designed to bring the nineteenth century gardens into the twenty-first century. 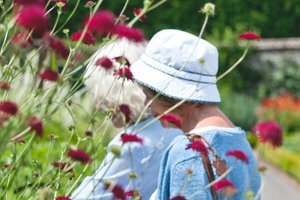 Visitors can come and see our 25 Years of Glorious Gardening photo exhibition, currently on display in the Mushroom Shed. Free entry with a ticket to the gardens (adult standard entry £9.50, children go free). 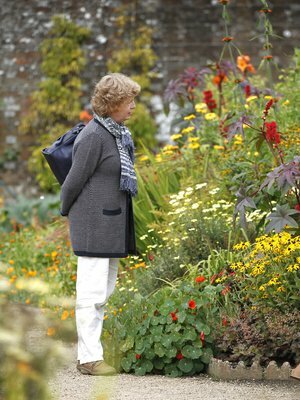 Learn more about the West Dean Gardens photo exhibition. Find out more about the history of West Dean and the Gardens in the information book available from the Gardens Shop.